3.Do You Have A Blogging Experience? Taylor Wins Top Honors at CMT Awards! Taylor Swift, who The New York Times described as "one of pop's finest songwriters, country’s foremost pragmatist, and more in touch with her inner life than most adults," has surpassed the 10 MILLION milestone for record sales. This 10 million number represents actual full albums sold – in addition, Taylor has sold over 20 million paid song downloads, more than any artist in country music history.19-year old Taylor, who writes all of her own material, released her now quadruple-platinum self-titled debut CD in October of 2006 on Big Machine Records, and followed it up with the Fearless album two years later. Fearless was the country’s top selling album for the first 33 weeks of this year, and now has sales of more than 4 million copies in the US and Gold and Platinum certifications in fourteen countries spanning five continents. Taylor’s 10 million albums sold include the following:Taylor Swift 4,369,749 units USFearless 4,020,725 units USTaylor Swift & Fearless 1,297,059 units InternationalBeautiful Eyes 256,822 units (Wal-Mart only)The Taylor Swift Holiday Collection 151,844 unitsTaylor has had singles top both the Country and Pop radio charts, and sold more albums last year than any other recording artist, in any genre of music. Her #1 single “Love Story” has become a global sensation, topping airplay charts worldwide, in countries including the US, the UK, Canada, Australia, and New Zealand. Taylor just celebrated her 4th consecutive #1 single in the US, and her fifth #1 out of her last six singles released.Her sophomore release, Fearless, was voted 2009’s Album of the Year by the Academy of Country Music, and reached double-platinum in just four weeks. Fearless was the year's biggest debut for any female artist, and the fourth highest debut of 2008, over all. Now quadruple-platinum, Fearless has spent more weeks in the #1 position atop Billboard’s Top 200 all-genre CD sales chart than any other album this decade. Taylor currently holds the Billboard all-genre record for most Top 20 debuts in a calendar year. Taylor’s first-ever headlining tour, the TAYLOR SWIFT FEARLESS 2009 TOUR, is the hottest ticket on the market, with capacity crowds packing arenas around the globe. This summer Taylor sold out a show at Madison Square Garden in one minute, and one at Los Angeles’ STAPLES center in just two minutes.At 17, Taylor became the youngest person to single-handedly write and sing a number-one country single entirely on her own, and she is the first female solo artist in country music history to write or co-write every song on a platinum-selling debut CD. At 14, she signed a publishing deal with Sony/ATV Music, and in 2006 released her self-titled debut CD on Big Machine Records. Taylor Swift has surpassed quadruple-platinum (4 million sales) status and spent more than 20 weeks in the #1 position atop Billboard's Country CD Sales Chart. Taylor is consistently ranked Country's #1 artist on MySpace, and was named Country Music's Hottest Female Artist by AOL Music and Best New Artist by the editors of iTunes. Taylor now has more than a million followers on her Twitter account, and recently surpassed the 250 million mark for music streams on her MySpace page.In 2009 Taylor was awarded the Academy of Country Music’s Crystal Milestone Award, given for Outstanding Achievement in Country Music. Taylor was the 2nd artist in history to receive this prestigious award -- Garth Brooks received the award in 2007. Also this year, Taylor won CMT Music Awards for Video of the Year and Female Video of the Year, awards she was also honored with in 2008. In addition, she won 2009 Teen Choice Awards for Choice Female Artist and Choice Music Album – Female Artist. Taylor was named 2008’s Favorite Female Country Artist at the American Music Awards, and Top New Female Vocalist by the Academy of Country Music. She was named Choice Breakout Artist at the 2008 Teen Choice Awards, and was as the 2008 Superstar of Tomorrow at the 10th Annual Young Hollywood Awards, making her the first musician to ever receive this prestigious award. In 2007 she won the CMA Horizon Award, as well as the Nashville Songwriters Association International's Songwriter / Artist of the Year, and she received a GRAMMY nomination for Best New Artist.Earlier this year, NBC dedicated an entire hour to the primetime special “Dateline: On Tour With Taylor Swift.” Taylor’s numerous other television appearances include a guest-starring role on CSI: Crime Scene Investigation, and a performance on Saturday Night Live.Taylor has been featured on the covers of Rolling Stone (twice), Billboard (twice), Glamour, Allure, People StyleWatch, Blender, USA Weekend, Seventeen (twice), Redbook, Self, Us Weekly, CosmoGirl, Girl’s Life, Teen Vogue, Women’s Health, First, Your Prom, and Southwest Airlines Spirit magazine. She was featured in a Vanity Fair spotlight, was named one of People magazine's 100 Most Beautiful People of 2008 and 2009, was Cosmopolitan magazine’s Fun Fearless Female of December, 2008, was Allure’s Face of December, was named a Style Star of 2008 by the editors of Seventeen, and was featured on Maxim’s 2008 & 2009 Hot 100 list. Taylor Swift is giving fans some new music, even though she's not yet releasing a new album.The 19-year-old country and pop sensation is re-releasing her top-selling CD "Fearless" Oct. 27 with six new songs. She will also include a DVD of photos, tour footage and her videos, including her comedic clip with T-Pain from the Country Music Association Awards earlier this year. "Fearless" has sold almost four million copies since it was released last November. It was named album of the year by the Academy of Country Music.On Wednesday, Swift was nominated for four CMA Awards, including entertainer of the year. She's also up for an MTV Video Music Award on Sunday.The CD/DVD of "Fearless Platinum Edition" will be released Oct. 27. Taylor Swift will make her first appearance on The View on Tuesday, September 15th. Taylor will sit down for an interview with Barbara Walters and her co-hosts, and then perform two songs from her Fearless album. The View airs live on ABC at 11:00 a.m. (ET) in New York, and at 10:00 a.m. (CT) in Nashville. For other cities, check http://theview.abc.go.com for listings by area. This week Taylor received four CMA Award nominations, including one for the industry’s highest honor, Entertainer of the Year. At 19, Taylor is the youngest artist in history to be nominated for this prestigious award, and she is the first solo female artist to be nominated since Faith Hill in 2000. Big Machine Records will release an enhanced version of Taylor’s award-winning Fearless album, entitled Fearless Platinum Edition, on October 27th, 2009. Fearless was RIAA certified Quadruple Platinum (4 million sales) this week. Taylor’s career record sales now top 10 million albums and 20 million paid song downloads. Double the Taylors, double the fun! Taylor Swift is all over the place….but this time, someone else is eyeing her up….Timbaland has set his sights on a Taylor-collaboration. Apparently the only thing preventing it at this point is scheduling….But Timbaland ensures that country won’t be lost…. Many of you may already be aware of this, but it was recently announced that Amanda Crew has joined Zac in The Death and Life of Charlie St. Cloud. Amanda Crew has signed to star opposite Zac Efron in "Charlie St. Cloud," Universal's supernatural romantic drama that's being directed by Burr Steers. Marc Platt is producing. An adaptation of the Ben Sherwood novel, the story centers on a cemetery caretaker (Efron) who has weekly meetings with his younger brother, whose accidental death he blames on himself. He meets a young woman (Crew) believed to be missing in a sailing accident and begins a romantic relationship with her but soon wonders if she is an apparition on the way to the next life. Tune into Access Hollywood tonight to catch the clip of Zac bungee jumping that we shared last night. The show airs on NBC but check your local listings for time and channel in your area. Variety Children's Charity are auctioning off two tickets to the Teen Choice Awards plus tickets to the exclusive after party on eBay. Click here to check out the auction and place a bid to help support their charity work. Check out the fantastic new album out in the UK and online from August 3rd, POP IT, ROCK IT, on Disney Records. It features tracks from Miley Cyrus, Jonas Brothers, Vanessa Hudgens, and more plus exclusive new songs from Emily Osment, Selena Gomez and Demi Lovato! It also comes with an amazing DVD with Behind The Scenes featurettes from High School Musical and Camp Rock and a “step by step” guide to Miley’s Hoedown Throwdown dance! If you haven’t yet joined the official UK street teams for some of these artists plus Pop It, Rock It, check out www.in4merz.com now! Also, unrelated to Zac, head over to K-Mart's "Be a Schoolebrity" site where you can find out about cool new trends and school supplies to rock the new school year, dress up your personalized avatar to try out new outfits, play games online with your friends, and get special coupons (because we know your Moms will love them!) Make sure you enter the "Be a Schoolebrity" sweepstakes for a chance to win a shopping spree with a Nickelodeon celebrity! Click here for Official Rules and prize details. Episode 6 - Three's Not Company avi. wmv. NEW YORK (AP) — The eldest Jonas brother, Kevin, and his girlfriend Danielle Deleasa (DAH'-lees-ah) were engaged Wednesday. 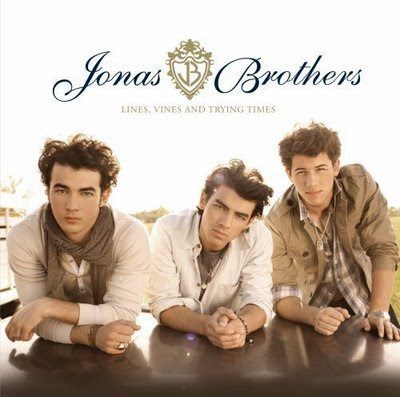 The 21-year-old Jonas is one-third of the popular Jonas Brothers, along with Joe and Nick Jonas. A spokeswoman for the Jonas Brothers confirmed the engagement. In a statement, Kevin's parents, Kevin Sr. and Denise Jonas, said they were "filled with joy." The young couple have not yet set a date. Their engagement was first reported by People magazine. People quoted Kevin Jonas as describing his girlfriend's reaction as "yes, yes, yes like 500 times super fast in a row." Episode 6 - Would I Lie to You Lily? Twilight' leading lady Kristen Stewart was spotted sporting a short, dark haircut under her gray hoodie. The actress has replaced her long, red hair -- as seen at the MTV Movie Awards -- with a seemingly short, dark 'do. Click HERE to see Stewart with her 'New Moon' and 'The Runaways' costar Dakota Fanning. 'The Twilight Saga: New Moon' is set to hit theaters Nov. 20. Television, film, and music stars gathered in Hollywood Sunday night for the 2009 MTV Movie Awards and "The Insider" got all the dish from the celebs on the red carpet! 'Twilight' star Peter Facinelli tells "The Insider"'s Victoria Recano about being a part of a film with such a huge fan following. "It's pretty fantastic," Peter says. "Crazy phenomenon. I don't think you can ever get used to people screaming. They're screaming with love which is kind of nice." "High School Musical" star Ashley Tisdale tells "The Insider" who she's excited about seeing at the awards show. "I'm really excited to see Eminem," Ashley says. "He's performing and I've never seen him perform." Ashley also reveals that she has joined the masses as a 'Twilight' fan. "I really like Robert Pattinson but I like him as Edward Cullen," she says. "I like Edward the character so maybe he looks like him tonight!" Stars of the romantic comedy 'The Proposal' Ryan Reynolds and Sandra Bullock share details about their real life marriage proposals, and "The Insider" also catches up with Elizabeth Reaser, Will Ferrell, Danny McBride, and many more of your favorite stars! Zac Efron Caught Kissing A Guy? This one made us say WOW! Disney can’t seem to keep a leash on their young stars these days. We’re starting to wonder if they encourage them to leak pictures like this for the hype. 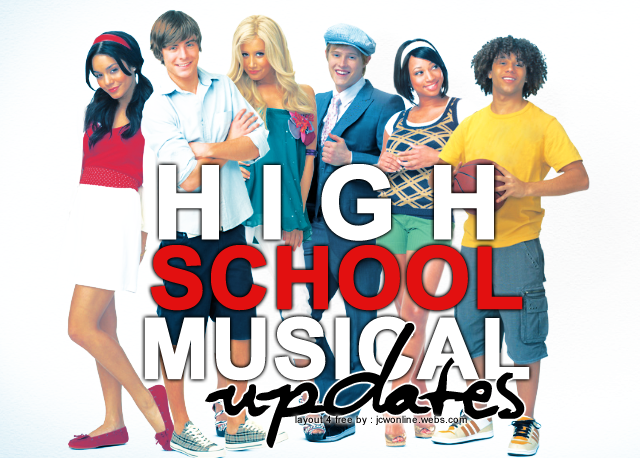 This time it’s High School Musical’s resident cutie Zac Efron in the spotlight. Zac’s sexuality has been questioned a bit in the past and this new picture just adds fuel to the gay fire. Do you think Disney is ready for a gay star? High School heart throb Zac Efron is getting into the high school spirit.Seen here: It appears Efron may be gay? From what appears to be a gay kissing scandal on his hand, no word from his camp. The photo has not been confirmed. Just recently it was brought to light and found on the internet. "The Insider" confirms Zac Efron is hanging out with the boys of "Entourage." The 'High School Musical' actor filmed a cameo appearance on the show, which is set to return to HBO for its sixth season on July 12. "Entourage" stars Adrian Grenier, Kevin Connolly, Kevin Dillon, Jerry Ferrara, and Jeremy Piven. Piven won his third acting Emmy Award last year for his role as Ari on the show. The Disney Channel has ordered a fourth season of it series "Hannah Montana," starring teen sensation Miley Cyrus. Production on the show's current season is wrapping this week and shooting will resume early next year, the cable channel announced Monday. In announcing the decision, a statement said: "Miley and the producers have proposed a change of setting for Season Four that will provide the catalyst for wonderful new characters and further expand the storytelling opportunities." The popular series was also made into a film, 'Hannah Montana: The Movie,' which launched in April. The movie won Miley an MTV award for Best Song, "The Climb," which was presented to her last night at the 2009 MTV Movie Awards. TYBEE ISLAND, Ga. (AP) — Tybee Island has landed a starring role in the new Miley Cyrus movie, and audiences seeing the film next year won't have to wait for the credits to find out the name of the beach town filling the screen. Location managers for the movie "The Last Song," which starts filming on Tybee next week, told residents at a town meeting Monday that the island proved too unique to masquerade as Wrightsville Beach, N.C. Novelist Nicholas Sparks, who wrote the movie's script, initially set the story in Wrightsville and Wilmington, N.C. But filmmakers persuaded him to change the location to Tybee Island and neighboring Savannah so they could include local landmarks such as the island's towering lighthouse and the oak-shaded squares in Savannah's historic district. "We had a hard time trying to hide the fact that this was Tybee and Savannah was Savannah," Bass Hampton, the film's location director, told about 80 residents at Tybee city hall. The movie features 16-year-old Cyrus, the star of "Hannah Montana," as a teenage girl struggling with her parents' divorce who tries to reconnect with her father during a summer at his home in a quiet beach town. Filming starts Monday on Tybee Island, 12 miles east of Savannah, and is expected to stretch into mid-August. The Walt Disney Co. had considered making the film in North Carolina, but ultimately chose Georgia because the state offered a better incentive package. Local officials estimate the production will bring $8 million in direct spending to the area during the next two months. Having Tybee Island's name on the screen — on signs for a beach festival and emblazoned on police cars and fire trucks — should make for an even bigger payday after the movie hits theaters in 2010, said Diane Schleicher, Tybee's city manager. "When the film releases, the impact on the economy here is going to be immense," Schleicher said. Still, there will be some drawbacks for the island's 3,400 residents. Hampton said filmmakers will spend several days shooting at the island's fishing pier, which will mean closing the attraction to visitors periodically, and roadblocks will go up around the beach house being used as a location. Tybee resident Monty Parks, who opened an Internet cafe near the pier a few months ago, said he hopes to sell plenty of lattes to the film crew and gawking tourists. "If you're somebody who wants Tybee to stay out of the limelight, you're going to be broken-hearted," Parks said. "I think there's going to be a lot of people here. It's going to be great for me." Teen pop sensation Miley Cyrus is hitting the road for a new 45-show tour. The Wal-Mart-sponsored tour will begin September 14 in Portland, OR and play in major cities -- including Los Angeles, New York City, Dallas, Chicago, New Orleans -- before wrapping in Miami on December 2. Pop band Metro Station will be joining Miley on the tour. Sources say that longtime lovebirds Miley Cyrus and Justin Gaston have broken up. The pair ended things on Sunday and the "Hannah Montana" star is currently getting ready to begin her fall tour. 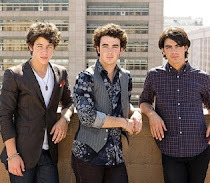 Jonas Brothers Postpone Mexican Shows Over Swine Flu Concerns? The Jonas Brothers are pushing back a scheduled concert performance in Mexico, says a report. According to Billboard.com, the rock trio has moved their May 17 concert at Arena Monterrey in Mexico to July. The Web site for the arena lists the new Jonas Brothers show date and times, listing an afternoon and a night performance on July 31. According to Billboard, the venue explained the postponement on their Web site, saying it was "due to health precautions in the whole country as a consequence of the outbreak of the A(H1N1) flu." "We know the situation is stabilizing and that many fans travel long distances to live the experience of seeing a Jonas Brothers concert," the statement read on the venue's Web site, according to Billboard. "That is why we hope that your experience and your enjoyment of the concert will be as pleasant as possible." The venue will honor the May 17 tickets for the two shows scheduled for July, says Billboard. Hello Guys And Welcome To My Page,I'll Keep You Updated For Everything In The High School Musical And Disney World So Stay Tune For More:). 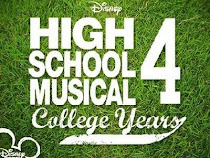 Would You Go Watch HSM4?